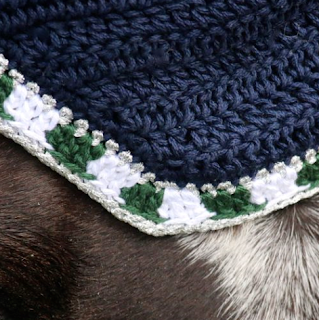 What is your horse getting for Christmas? 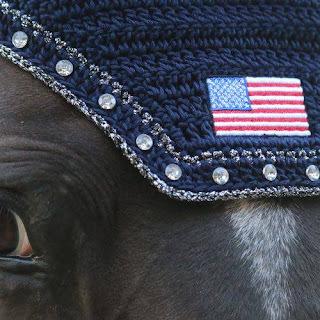 "All Frilly Fillies Bonnets are handmade in the U.S.A. 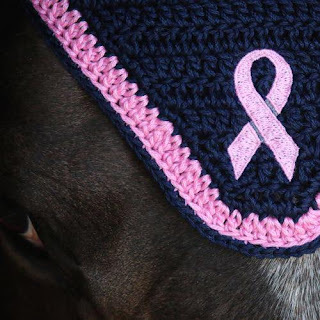 These luxurious and durable bonnets are made of specialty yarn in a variety of vibrant and stylish colors and designs. 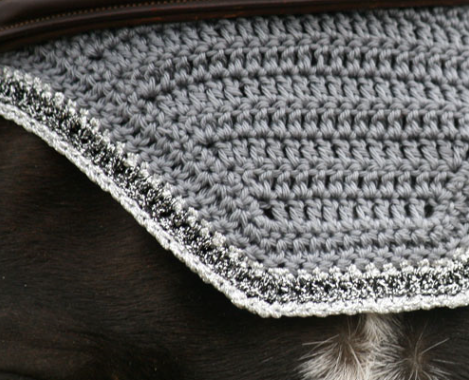 Each bonnet is custom designed for you and made to order, creating a look that will ensure that your show horse catches the judge’s eye and is the envy of your barn." Frilly Fillies, a small business owned and operated by Nancy Dein, specializes in making quality custom fly bonnets right here in the United States (California to be exact). 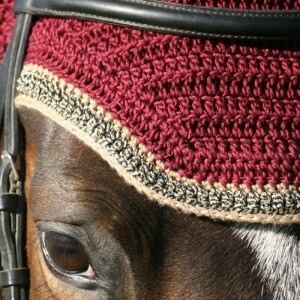 It all started back in 2012 when her daughter wanted a bright red bonnet for eventing. After searching around, she couldn't find quite what she was looking for. Nancy, considering herself to be somewhat crafty, picked up her crocheting hook and set to work at making a bonnet that was just the shade of red they were hoping for. However, she soon realized that coming up with the perfect pattern for a fly bonnet was no simple task. After much trial and error, she finally had the formula of how to make a stellar bonnet. As people around their barn, Dragonfire Farm, began noticing the bonnets, Nancy received great feedback. The bonnets even caught the eye of Canadian Olympian Hawley Bennett, who was leading a clinic at Dragonfire at the time. Soon enough, she had a small business on her hands! Upon her son and nephew building her a website, orders started to pour in. In fact, she outfitted the U.S. eventing team with bonnets for last summer's Pan Am Games, and she is supplying the U.S. eventing and dressage teams with bonnets for the Olympics. A crucial part of her business model is customer service. 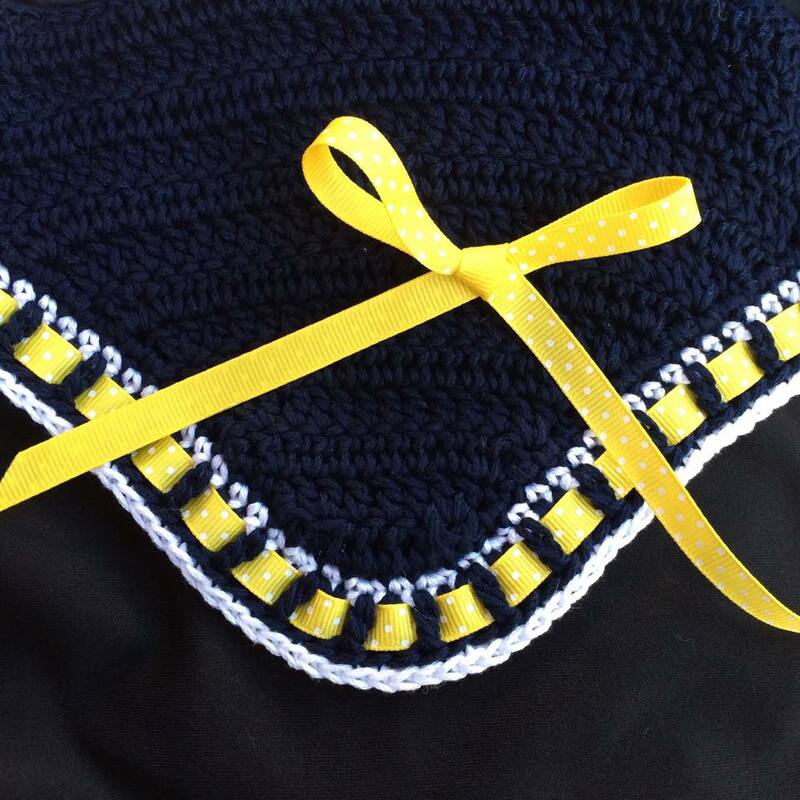 Since she doesn't keep bonnets "in stock," all orders are custom made. Due to this, occasionally customers accidentally measure incorrectly [side note: aka totally me], and thus the bonnet doesn't fit. If you order from Frilly Fillies and your bonnet doesn't fit, Nancy guarantees she will fix it free of charge, no big deal. While Nancy primarily does the bonnets by herself, when there are copious amounts of orders to be filled she enlists the help of a friend to work on the base pieces. Despite some assistance, Nancy prides herself in working on, inspecting, and packaging each individual bonnet. She always cuts the ear fabric herself and enjoys working on the decorative trim, piping, and rhinestones. Along with her special pattern, each bonnet has unique, quality materials. She only uses the softest bamboo jersey and all ear materials are four way stretch with multiple varieties: jersey, velvet, Ice Fill Cool Mesh (yep, that's the stuff Kerrits uses! ), and small hole mesh. Shhhh, don't tell Ypke, but she is getting one for Christmas. Can't wait to see how swanky and stylish ponykins looks sporting her new fly bonnet! 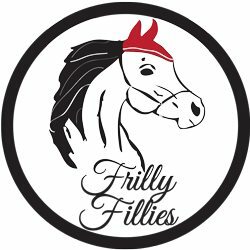 Be sure to like Frilly Fillies on Facebook, so you can stay up to date with their latest designs! I know! I want one in all the color combinations!